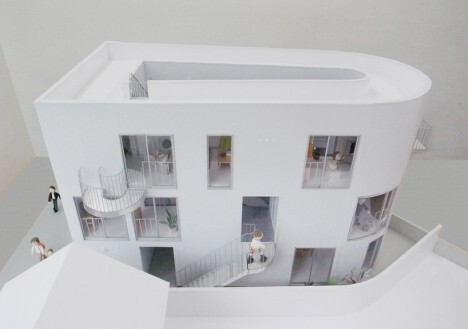 Four triangular volumes come together around a central courtyard in a pinwheel shape, creating a juxtaposition of private and public spaces within a communal apartment building for artists. 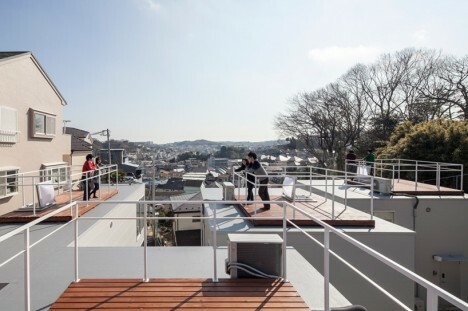 The common areas offer up a washroom, kitchen and storage closets for all to use, though each of the ‘huts’ has its own private bathroom and kitchenette. 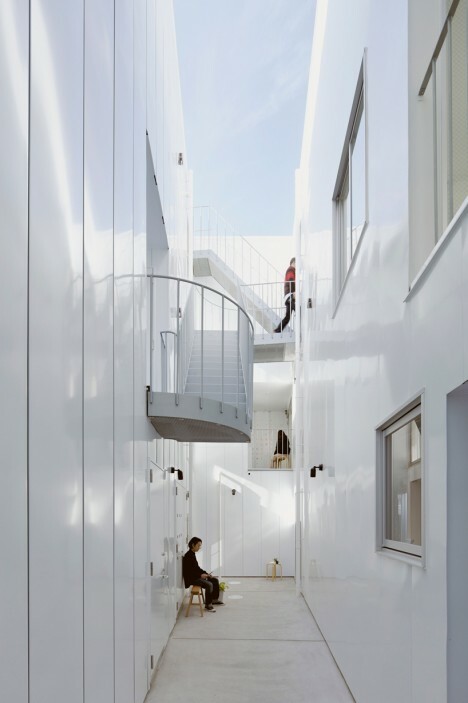 Three gabled structures almost seem as if they’ve been cut open and stitched together at the sides in this apartment building by K2YT in suburban Tokyo. 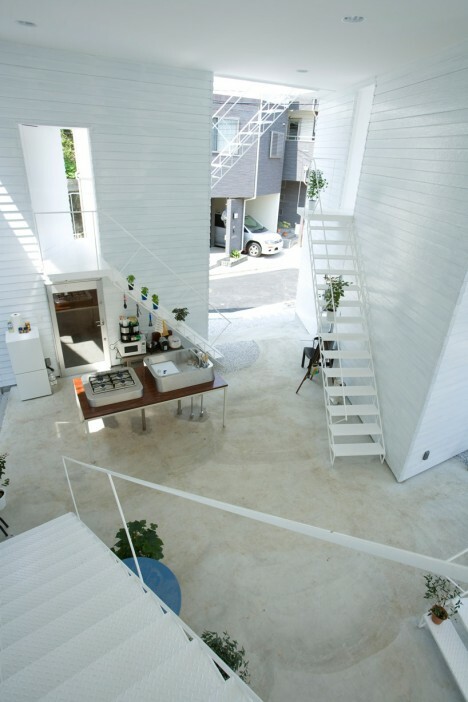 The ground floor is a communal space, while three rental spaces occupy the upper floors. 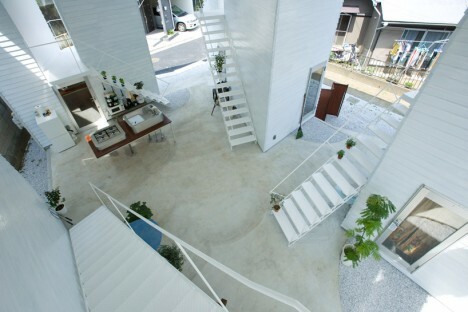 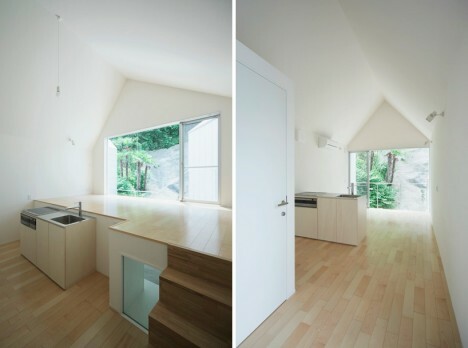 A series of interior and exterior spaces is created through creative layouts making use of platforms and voids. 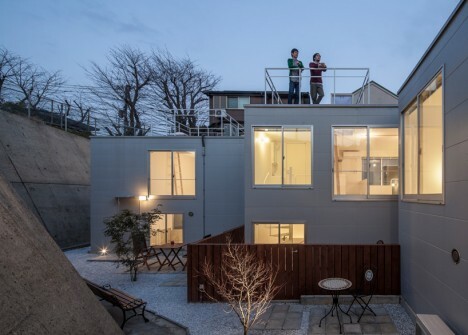 Eight apartments housed within four interlocking concrete volumes all have their own private outdoor space, whether on the ground floor or the upper level, with Be Fun Design’s Isogo House. 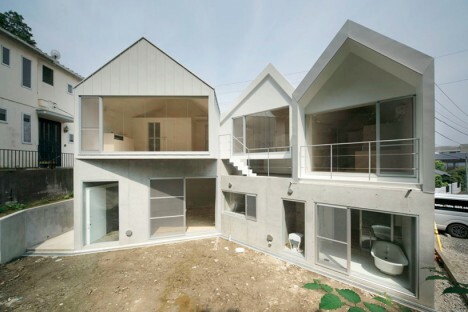 The way these volumes are arranged creates a balance between social interaction and privacy. 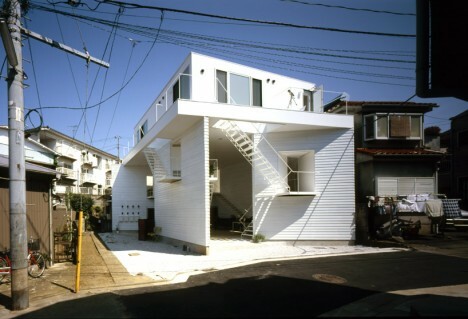 Japanese firm SPACESPACE essentially started with the plan of a typical single-family residence and stretched it out, elongating and bending it into a D shape to accommodate additional units. 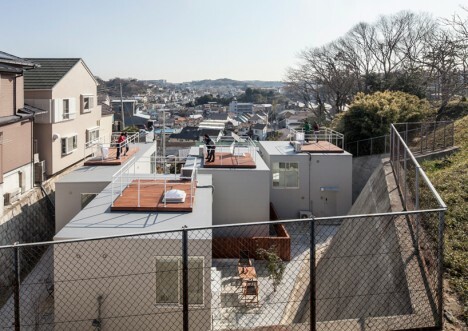 The shape makes the most of a narrow, irregular lot, with the open space in the center serving as a private ‘alleyway’ for the residents. 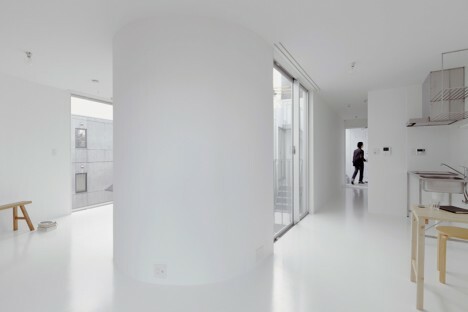 The entire building, including the interiors, is painted white to reflect limited available daylight that’s partially blocked by a nearby 700-year-old tree.